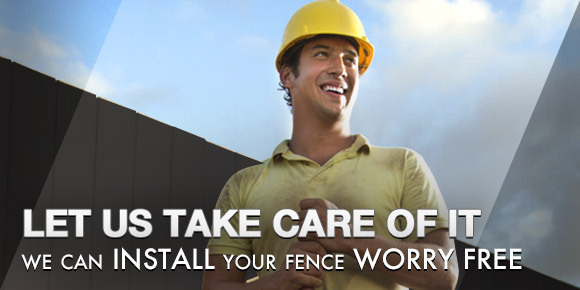 Here at FenceCorp, we understand that not everybody has the time or capacity to install their own fence. It is with this in mind that we offer our fencing installation services with our range of fencing solutions – our operators are proficient at installing your fences, screens, gates and balustrades. We service the entire Brisbane are and are experienced in ensuring that your fencing solutions are installed to the highest possible standard of quality and aesthetic. At FenceCorp we support the notion of DIY installation, however we acknowledge that for some, the prospect of installing a fence, screen, gate or balustrade can be daunting at best. The installation process can be technical for those who are not that way inclined and in addition to this, there are several tools that are required to adequately complete the process and we understand that not all of our clients will be in possession thereof. It is for these reasons and more that we have established ourselves as Brisbane’s best fencing contractors and outlined below, are some benefits to contracting our services in the installation of your next fencing solution. Given the extensity of our experience, expertise and equipment here at FenceCorp, we are able to offer the upmost in efficiency when installing fences throughout the Brisbane region. For customers who do not have access to the necessary tools or who have perhaps lack the confidence or time to undertake such a task, we can help. If you contact us with some basic information, we can establish an approximate list of costs before visiting the intended site of your fencing where our skilled contractors will provide you with a quote. Following this, our technicians will commence installation – a process that will be conducted in an unobtrusive and professional manner. We have tailored our practises to ensure the upmost in convenience for you and relieve you of any stress or unnecessary costs that may be incurred in self-installation. 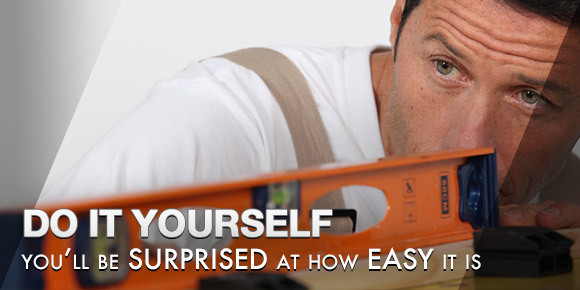 Another distinct advantage offered by our installation services is the guarantee of quality. Although it can reasonably be completed by an ordinary person, the fencing process does have a number of aspects that may prove inherently challenging to an individual of little experience. The result of these factors can be a substandard installation and there are numerous issues that may arise as ongoing consequences thereof. To avoid this, we advise those without confidence or practical experience to enlist the services of our experienced fencing contractors. Our fencing contractors have perfected the installation process through years of training and experience in the Brisbane industry – the result of which is an assurance of quality and efficiency. Depending on your experience, a self-installation can be fraught with stress and angst – particularly when you are unsure of exactly how to install a fencing solution with the greatest success. To address this, we offer you our services throughout the entire fencing process, from inquiries and quotes, to purchase and fitting. The abovementioned quality and convenience of our installation ensures that you get the peace of mind associated with a streamlined, efficient procedure and the highest possible standard of quality. Our proficient operators will explain to you the nature of the installation and ensure that all reasonable steps are taken to complete each task to your specifications. Here at FenceCorp, we offer an extensive range of installation options. In fact, our installation services cover almost all of our products and our fencing contractors have had considerable experience sizing and fitting our products across the Brisbane region. As such, you can be assured that your fencing solutions are recommended and implemented with the greatest possible dedication to quality and efficiency. Outlined below are some of the products with which our skilled technicians can assist you. We offer a wide variety of fencing solutions here at FenceCorp and unfortunately we are unable to fit some of these; in particular glass fencing, however we encourage you to contact us with any inquiries you may have on the matter. Despite this, we offer installation services across Brisbane on a number of our other fencing solutions and we advise professional installation for fencing alternatives where possible. Given their purpose in both security and safety – especially when considering pool fences and the likes – having a fence professionally installed can be greatly advantageous and ensure that your fence is of optimal quality and functionality. Balustrades often offer more than just practical benefits – they can be of great aesthetic utility in your balcony, stairway or outdoor areas. Additionally, a balustrade of some description is required by law where a drop of one metre or more exists. Undeniably, this highlights the importance of balustrades and it is just as important that they are installed effectively. For this reason, our fencing contractors offer their services across the Brisbane region to install our products to the highest possible standard. Gates can be somewhat more difficult to fit than standard fencing alternative and when considering the expansive range of automated electric gates offered here at FenceCorp, we suggest contacting us for information regarding a professional installation. We offer electronic and automatic gates that range in size and application from pedestrian to vehicular and these can pose a challenge to standard DIY enthusiasts. As you would expect, privacy screens are a popular addition to many Brisbane homes and this is primarily due to the enhanced airflow, security and privacy that they offer. To clearly ascertain precisely how one of these ought to be installed, we suggest contacting our fencing contractors. With considerable experience installing fencing solutions across Brisbane, our contractors can offer you pertinent and useful advice as to how best an installation of this nature might be positioned. Why Should You Have Your Fencing Solution Professionally Installed? There are several circumstances in which a professional installation is advisable and our fencing contractors cater for this across the Brisbane region. When self-installations do not go to plan, the consequences can be costly. Often, we hear of individuals who have undertaken to fit their own fencing solutions without the adequate guidance, expertise, experience or tools. This is why, here at FenceCorp, we offer our valued customers the option to have their fencing solution professionally installed, with few exceptions. We pride ourselves on maintaining the most pertinent and advanced knowledge of our products and how best to install them, which allows us to complete all jobs to the highest possible standard of quality. In essence, we suggest a professional installation for those who might lack the capacity to install such fittings themselves. If you do not have time to engage in the potentially lengthy process of installation, then our team of experts can do it for you. We have streamlined the process throughout our many years industry experience within the Brisbane area and this means that it will take us a mere fraction of the time, with guaranteed results. Alternatively, if you are not experienced in DIY projects or simply lack the confidence to attempt it yourself, then we encourage you to contact us today for the most applicable information on fencing solutions. 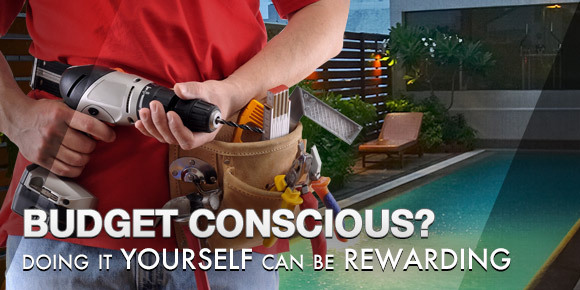 Not only does it save you money on tools and such, it could also save you time, effort and the risk of failure. When installed properly, our fencing solutions offer the upmost in safety, security and privacy and it is for these reasons and more, that the correct installation of our products is paramount. What Does The Installation Process Generally Entail? There are many factors that ought to be taken into account when determining how best to install a fencing solution and the extensive knowledge and expertise of our fencing contractors will ensure that the desired outcome is reached in this regard, every time. The foremost factor that requires consideration prior to the fitting of any fencing solution is the area in which the product is to be installed. A balustrade for example, will typically be installed on a balcony, outdoor area or stairwell and given that balustrades are legally required where a drop of one meter or more exists, it is highly likely that the installation will occur at some height. This will have a direct bearing on how the implementation is undertaken and usually, there will be some specific equipment required. Conversely, other products such as aluminium fencing will usually be commissioned for a relatively flat, bordering area of the property and this means that the installation process therefor will be considerably disparate to others. Usually, the installation of these fences is somewhat simpler, with fence posts being driven into postholes in the ground and set in concrete, before the remaining panels are attached. Whilst there may seem a distinct process for each installation, the fact remains that no two jobs will be the same. Variations in landscape, fencing products and homeowner’s needs must be taken into account and each installation must be approached on its merit. This is something that our fencing contractors account for and their equipment, when coupled with their wealth of knowledge, will ensure that your fencing solution is fitted in a manner appropriate for its application, so as to guarantee the upmost in quality for you. Can we answer your question?? Fill out our quick contact form. Need a more comprehensive quote? Please click here. We were impressed with the service from ordering the goods, and yes it was all available. Then the delivery, which was organised by FenceCorp to have all the materials delivered to my home. The driver was very helpful and very particular with the handling and placement to ensure that all was in perfect condition on arrival. Thank you so very much I would definitely recommend you and the product looks fantastic! I would like to congratulate the team and staff for all their assistance.